I have enjoyed several short stints in Argentina, usually just before or after working on a ship. The largest city Buenos Aires ("BA") is a fun place, with nice architecture and of course nice restaurants. One of the most spectacular places in the country is Iguazu Falls. If you are after penguins and sea mammals, the Malvinas/Falkland Islands are an amazing stop. Ushuaia is at the end of the road in Argentina. It is probably best known as the place most people start their Antarctic trips. If you have time, or a southern ocean trip returns early, then there are things to do around Ushuaia. One of the most interesting places is the Malvinas/Falkland Islands memorial. Just outside of town is the Tierra del Fuego National Park. 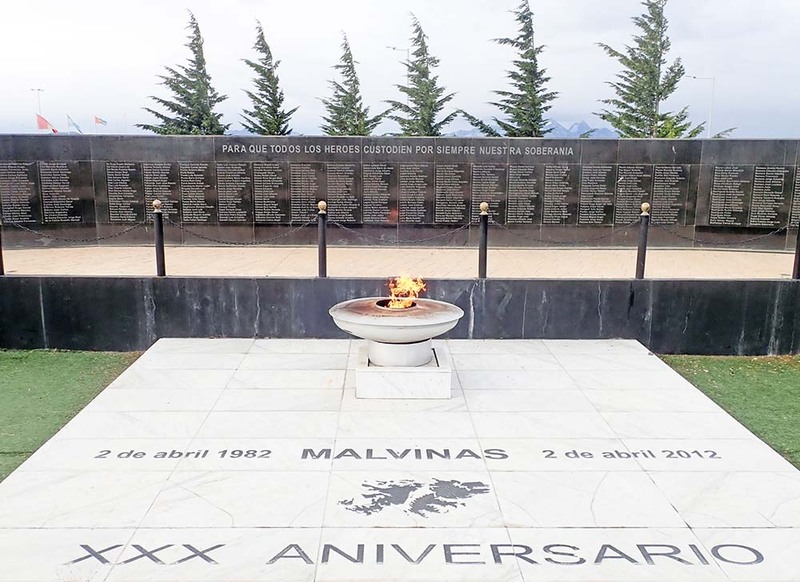 The Memorial in Ushuaia to the Malvinas/Falklands conflict.